Higher spending on public services. A socialist economy would increase the average income of workers. A socialist economy would likely increase socialised systems such as healthcare and education. Giving citizens a better chance at getting high paid jobs. monopoly. in fact monopolies are inherently against the idea of free market economics, due to the fact they prevent competition between a number of businesses within an industry. This can be very destructive to technological progress, and brand new businesses. Furthermore, regulations prevent businesses from abusing the environment and more. A socialist economy would allow for a smaller gap in economic equality. A socialist economy would most probably raise the price of necessity items. As there would be less need pronounced competition. "Central planning" is way too complicated and is unable to manage with the demand on markets. Over the time it leads to decreased supply and high inflation. All attempts, so far, of implementing socialist economy failed. With imperfect people working in the system it is always destined to failure. Many countries, current and past, that have fully adopted Socialist policies tend toward authoritarian policies as well. Unless all global markets changed. 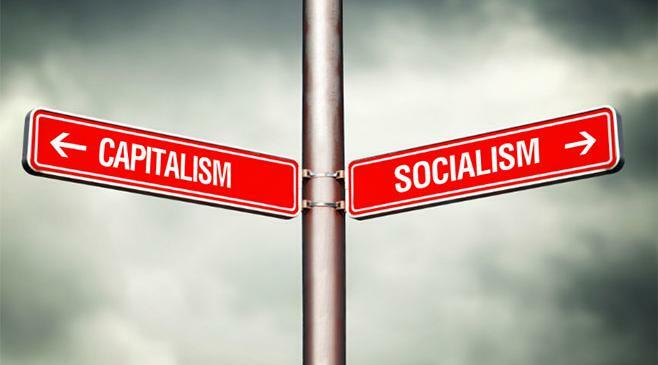 A socialist economy would struggle when competing in global markets, as the overall product price of something produced in a socialist economy would be higher than the price of something produced in a capitalist economy. Capitalism incentivises innovation by means of encouraging individuals to gather wealth. Due to higher economic equality there would be less room for taxation and lower taxes. This means the ability to create socialised systems such as education and healthcare could be impacted. Is self-employment better than working for an employer? Would A Cashless Society Be Better?